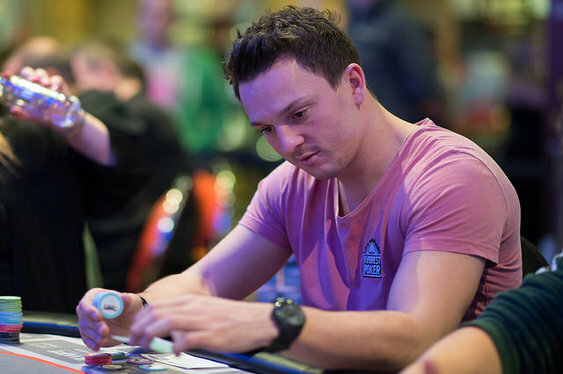 Sam Trickett's poker CV is pretty packed already but one thing missing is an EPT triumph. Retford's finest will be hoping to remedy that at EPT Malta. He's well placed for a deep run and will return today as one of the front runners. With the first two days in Portomaso the book just 198 of the 894 starters are still battling for a share of the €4.3m prize pool with Canadian pro Sam Chartier (465,500) leading the way. Other familiar figures still in with a shot at bagging the €810,000 first prize include Sergio Aido (272,500), Alec Torelli (216,500), Dominik Panka (197,300), Benny Spindler (149,400), Sorel Mizzi (131,900), Olivier Busquets (89,100) and former World Champs Jonathan Duhamel (77,500) and Martin Jacobson (67,700). It's not just Trickett who'll be flying the flag for blighty. The strong UK challenge still includes Simon Higgins (211,400), Mitch Johnson (200,000), Jack Salter (156,500), Ryan Spittles (81,600) and Jake Cody (58,000). The bubble will likely burst today with 127 players set to secure a min-cash of €9,120. Railbirds can follow all the action via the EPT Live Stream.